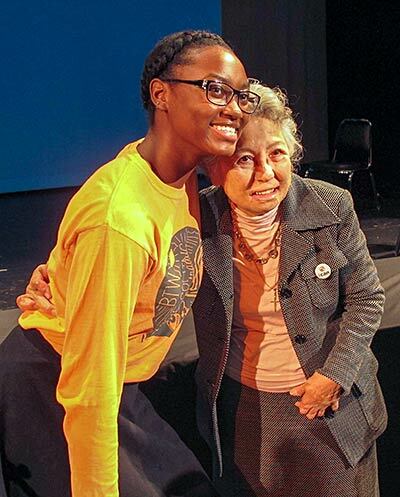 The main focus of Hibakusha Stories is to highlight the testimony of Hiroshima and Nagasaki survivors and use that inspiration to take action for disarmament to create a peaceful and sustainable world. Atomic Bomb survivors are referred to in Japanese as hibakusha, which translates literally as “bomb-affected-people”. According to the Atomic Bomb Survivors Relief Law, there are certain recognized categories of hibakusha: people exposed directly to the bomb and its immediate aftermath; people exposed within a 2 kilometer radius who entered the sphere of destruction within two weeks of the explosion; people exposed to radioactive fallout generally; and those exposed in utero, whose mothers were pregnant and belonging to any of these defined categories. 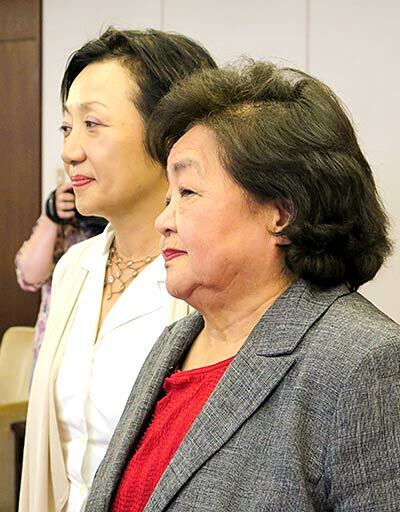 The Japanese Government, after much insistence and activism on the part of hibakusha, was forced to offer financial and medical assistance to atomic bomb survivors who have received official status. In 1956, Nihon Hidankyo (the Confederation of A and H Bomb Sufferers) was formed. Hidankyo members, all of whom are hibakusha, fought for and won the enactment of two laws: the “A-bomb Victims Medical Care Law” (1956) and the “Law on Special Measures for Sufferers” (1967). 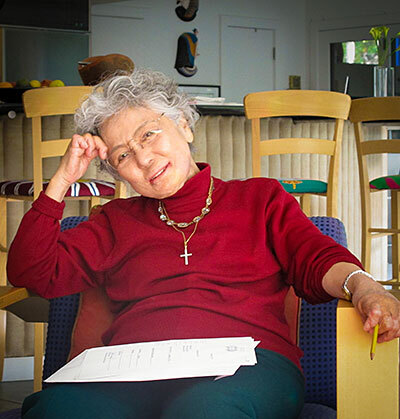 Thanks to the dedication and persistence of many hibakusha, atomic bomb survivors residing in Japan as well as those living in other countries, receive a monthly allowance. Many hibakusha not only suffered ill health due to radiation exposure and surviving a nuclear bomb, but also were subjected to discrimination at the hands of fellow Japanese. In 1945, little was known about the effects of radioactive contamination, and rumors spread that radiation exposure was akin to an infectious disease. Already traumatized by their experience of the “unforgettable fire” they fell victim to discrimination and were often found ineligible for work and marriage. Sadly, discrimination against hibakusha continues to this day and has been compounded or perhaps renewed by the on-going radiological catastrophe at the Fukushima Daiichi nuclear power complex. The label of Hibakusha has grown to encompass any person exposed to radiation from the nuclear fuel chain through the use and production of nuclear weapons as well as the processes that create and produce nuclear power. The most famous hibakusha was a young girl called Sadako Sasaki. 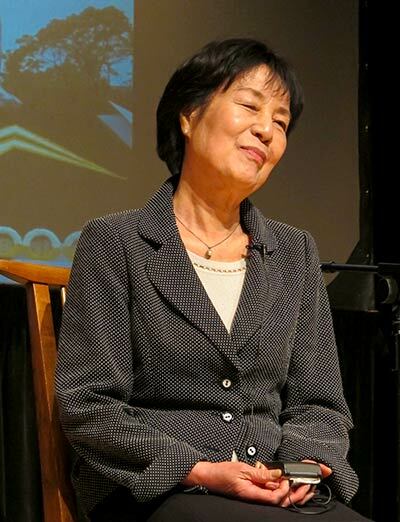 Exposed to radiation at the age of 2, she survived the atomic bombing of Hiroshima but later contracted leukemia, a widely recognized illness connected to radioactive contamination. Sadako was inspired by the Japanese legend that says that if you fold 1,000 paper cranes your wish will come true. Although Sadako died, her legacy lives on. Today the most visited site in the Hiroshima Peace Park is the statue dedicated to this young girl whose determination to live created an enduring symbol for peace in the world: an origami paper crane. 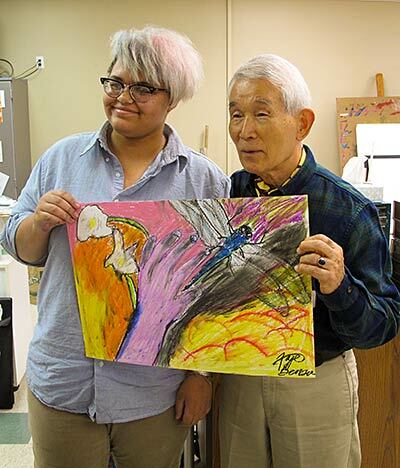 Hibakusha Stories encourages students and teachers to read Sadako’s story, to learn to fold paper cranes and share them with middle schools in your area so that the students who learn from listening to the hibakusha can pass their message to younger generations. The hibakusha give us the example of living a courageous life. 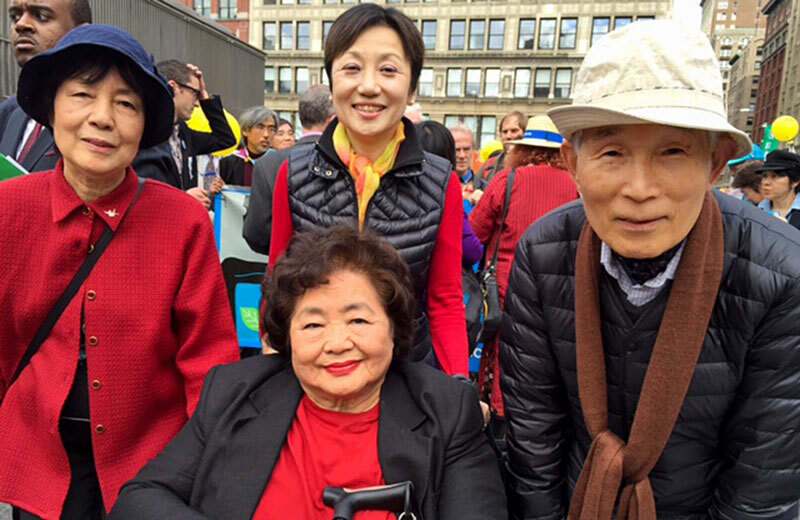 Speaking out against the threat of nuclear weapons, even though they have suffered intense discrimination and hardship — they have persevered. They are our teachers in cultivating COURAGE. The hibakusha give us the example of living a life of CONVICTION. For more than 70 years they have said to the world that nuclear weapons are the ultimate crime against life. They have demanded that the world know about their suffering so that others do not suffer what they experienced. They are our teachers in cultivating CONVICTION. The hibakusha are also our teachers in cultivating COMPASSION. That they lived through hell on earth and are still able to love and laugh and take joy — this is a sign of the greatest aspects of all of our humanity — that LOVE triumphs over hate. In this rare and precious moment, we still have the time to directly learn from the hibakusha about COURAGE, CONVICTION and COMPASSION. And to use our new found inspiration to take action for disarmament.